While some days it’s hard to focus on the eternal and invisible, it’s more important than ever to root ourselves in a security that will last forever. 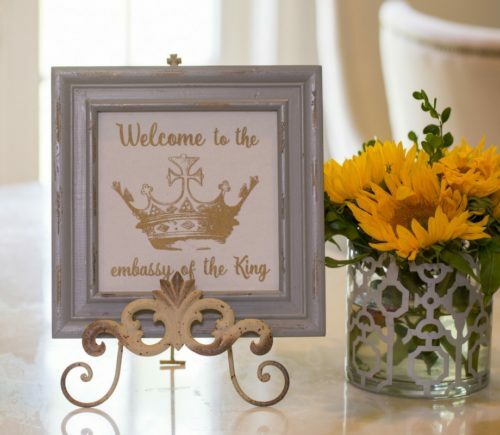 Your home is an embassy of the Kingdom of Heaven in this world where we temporarily dwell. Though you are American, you are first and foremost a follower of Jesus Christ, a child of the King. We really belong to another time, another place, another King. Are you leaving the light on and the door open for anyone who might need a listening ear? I’m inspired by a dear woman I saw in a video who sees her home as an embassy. I hope you will watch her story because seeing her welcome people to her little home makes me want to visit her myself! She explains she is always available for anyone who might stop by. Some friends and family call ahead to schedule their visits; others drop by unannounced when the day gets too long and too hard without the support of a friend. The homeowner claims that the drop-ins are the best visits because she knows she must rely solely on the Holy Spirit’s leading, as she listens, consoles or encourages her visitor. Because she cannot fluff everything before the unannounced visitors arrive, they feel an authentic connection with a real person who welcomes them with genuine affection. Might I encourage you to pray and ask God how you can communicate an open door policy in your home? Here are 3 ways to get you started. 1. 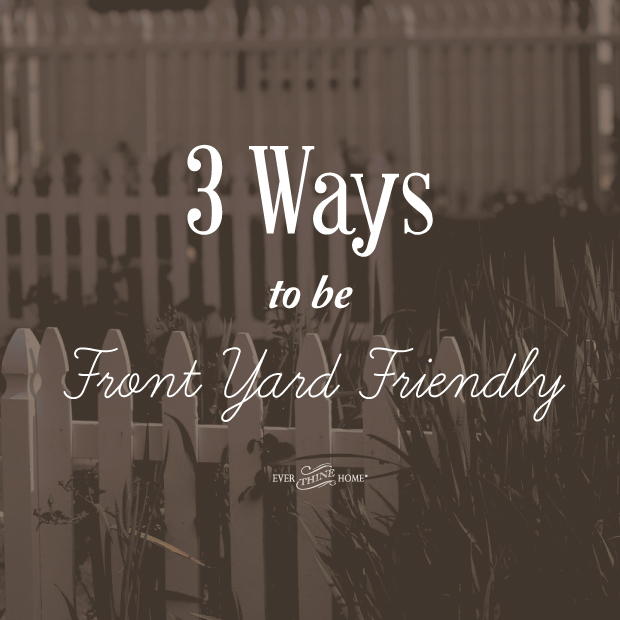 Post a formal, sincere welcome on your front porch. It is not easy in this world that feels increasingly full of evil. 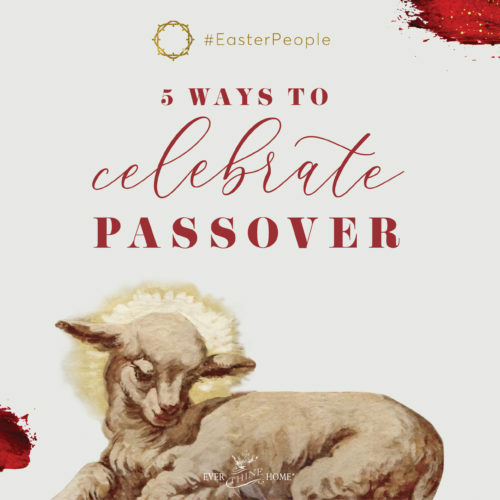 It wouldn’t be safe for your family to literally leave the door open and unlocked, but if you have a formal welcome on your front door might that be an invitation to a neighbor who needs to talk about her struggles? Try our embassy plaque. It’s a charming way to communicate your availability to your visitors. 2. Let others know you’re home. If you do leave the light on, literally, might that warm glow welcome someone who needs to hear about Jesus? What if you left your garage door up, even after the Saturday yard work is done? Have your children play in the front yard instead of the fenced in backyard. Draw chalk, ride bikes, play catch and invite other neighbor kids to your yard to join the fun. 3. Initiate a neighborhood get together. Making a cup of coffee or a glass of iced tea is not hard. Even taking cookies or fruit to a house down the street is a simple but meaningful gesture. Be the person on your street who others can count on to offer a smile and a genuine conversation while passing by for a walk or simply pulling into the driveway after a workday. 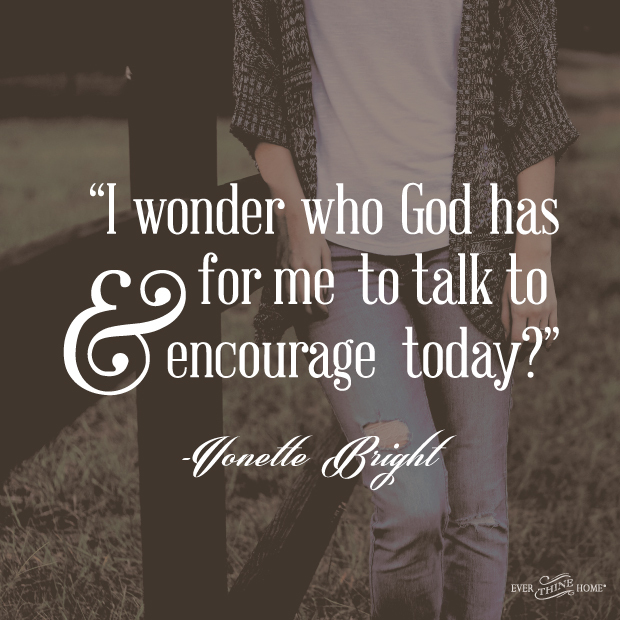 Just a few weeks before her death at age 89, Vonette Bright, who was dying of leukemia, said to her helper that day, “I wonder who God has for me to talk to and encourage today?” I readily admit I don’t ask God this question nearly enough. 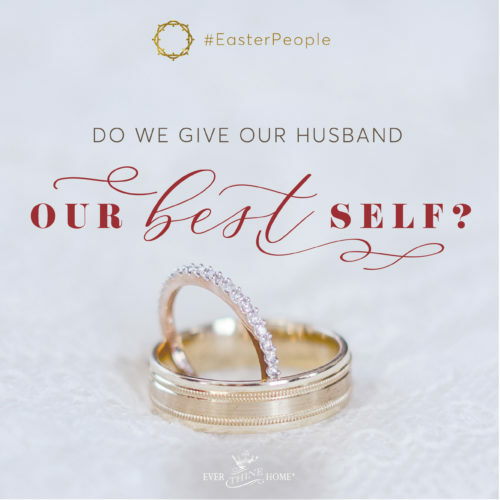 Will you join me in asking our God who we can encourage each day? With God, nothing is impossible so I challenge you to ask Him how you can be His ambassador and use your home as His embassy. Check out this clip of our friend Gloria Furman, a pastor’s wife living in Dubai, sharing how she is doing this. 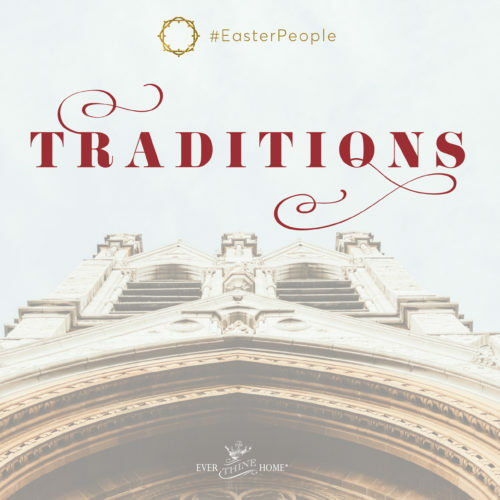 If you’d like to hear more about using your home as an embassy, tune in to this FamilyLife Today broadcast to hear Dennis and Barbara share about their home. Thank you for sharing. These tips are very useful! Open a lamp to illuminate the road head for other people’s home, which also illuminates themselves. Wow! That clip of Ludmilla sharing her story and home is powerful! Thank you for passing that along.